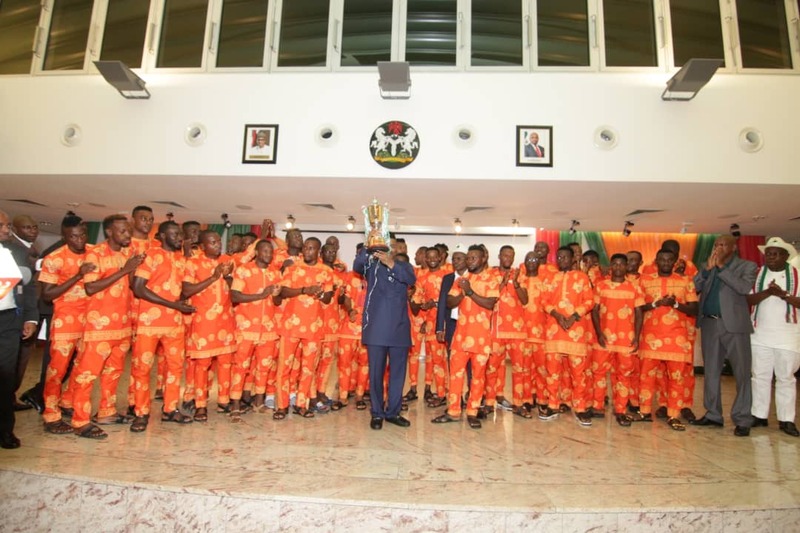 These are happy times for premier league side Akwa United as the state governor has made good his promise of naira rain on the team for winning last year FA cup. 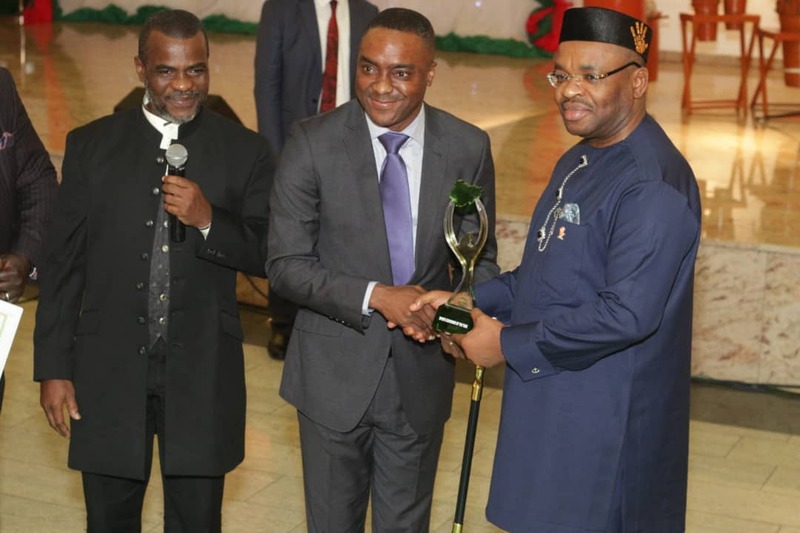 Governor Udom Emmanuel Wednesday put smiles on the faces of team with a Cheque of N70million. 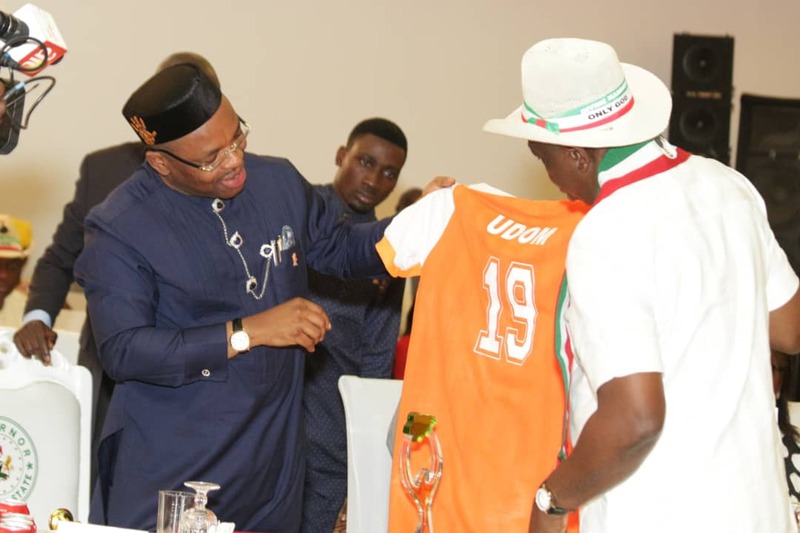 The club apparently impressed by the feat at a time when some clubs are singing lamentation songs over unpaid wages and fees took to their twitter handle @AkwaUnited_fc to announce the windfall while thanking the Governor for keeping to his promise. Recall that Akwa united claimed the title decided at the Agege Township Stadium otherwise called the temple after defeating equally hard fighting and ambitious Niger Tornadoes 3-2 on penalty. Last year’s victory marked the second time the Uyo based side will be clinching the title after winning it in 2015 after a 2-1 defeat of Lobi stars. The Agege Stadium encounter which drew creme dela creme to the temple ended goalless at regulation time and headed straight into penalty. The team had earlier pocketed N25 million for their effort while runners up Tornadoes got N10million. Akwa United it will equally be recalled put up spirited effort in the Confederation Cup but failed to go beyond the group stage.